Rumor: Bully 2 removed from E3 2017? 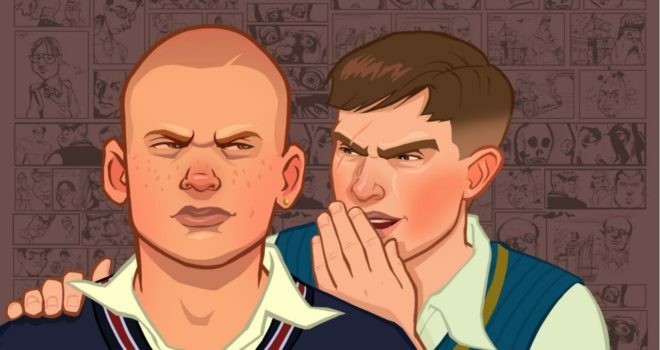 Although not yet confirmed confirmed to have a sequel to the 2005 Rockstar game, Bully, there have been multiple clues that Rockstar may create a sequel to the high school adventure we know and love. Since the announcement of Red Dead Redemption 2, gamers everywhere were upset to know that there has not yet been a sequel being created for Bully. But According to Game Informer, there is a game in development by Rockstar which could be the sequel to Bully. 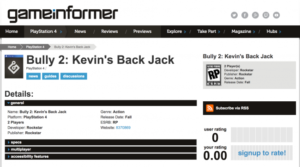 The game Bully 2: Kevin’s Back Jack was claimed to be in the E3 lists of 2017 but was removed at the last second due to unknown reasons. Nobody will know for sure but this could possibly be legitimate, a data error, or even a troll. If this could be real, then how long until Rockstar will announce to the world if Bully will get a sequel.